Is Raising Shasta Dam the Best Bet for California’s Water Supply? Just north of Redding sits the imposing Shasta Dam, and behind it, the largest single reservoir in California, accounting for about 17 percent of the state’s total water storage capacity. Government officials are now completing plans to make Shasta Lake even larger by raising the height of the dam. 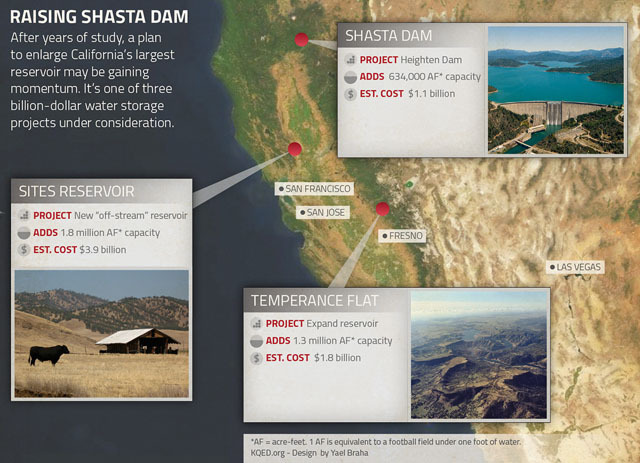 The proposed dam expansion is motivated by California’s projected population growth and increasingly limited water storage options. The estimated cost of adding 18 1/2 feet to the 600-foot edifice is over $1 billion. Unsurprisingly, the expansion proposal has sparked intense debates among local residents, Central Valley farmers, environmentalists, tribal groups and developers. It's tempting to say, "Welcome to the newest chapter in California’s never-ending battles over water" -- though it's not really new. The idea dates back at least a decade, to the CALFED Bay-Delta water planning initiative. But the proposal is getting fresh buzz now that the federal Bureau of Reclamation has issued a draft environmental impact report on the plan recommending the extra 18 1/2 feet, and political pressure for more water storage is mounting in California. To understand the Shasta Dam proposal, a bit of historical perspective is helpful. When the dam was originally conceived in the 1930s, it was designed to be about 800 feet high. But the dam construction coincided with the outbreak of World War II, so limited manpower and scarce resources forced planners to scale back. As a result, Shasta Dam currently stands at 602 feet, or about 200 feet lower than originally envisaged. So while it’s therefore possible (from a purely engineering standpoint) to raise the dam by an additional 200 feet, no one is seriously considering that. Federal engineers say the proposed 18 1/2 feet of additional concrete would add about 14 percent to the lake’s existing capacity. The idea for adding capacity is to have a bigger bank for stockpiling water in wet years, which could then be tapped during dry years. The obvious, immediate consequence of an 18 1/2 foot raise is that several homes and businesses along the shoreline would be inundated, forcing the government to compensate property owners. Jones and others believe that raising the lake will be the death knell for the resort town of Lakehead, which is a tiny town whose year-round population of about 500 balloons with the influx of boaters during the summer months. For years, members of the Winnemem Wintu tribe of Native Americans have been railing against the raise. When the dam was first constructed in 1945, they lost lands they claim as part of their heritage. They argue that the proposed expansion would lead to the further demise of their cultural legacy, including the inundation of 60-to-80 of their remaining sacred sites, many still used for tribal rituals. On the other side of the debate is Westlands Water District, a politically powerful agency that supplies water mostly to farmers in the San Joaquin Valley. Westlands is a major beneficiary of Shasta water and would pay approximately 20 percent — or $200 million — of the estimated construction costs. Westlands general manager, Tom Birmingham, talks like it's a bargain. “If you’re talking about creating surface storage in the state of California, this is the best project in terms of bang for your buck from the perspective of providing water for fisheries, providing water for human uses and providing hydroelectric generation,” Birmingham told us in a recent interview. Other surface storage proposals of comparable cost and magnitude include Sites Reservoir and Temperance Flat. These projects have larger potential storage capacity, but also come with greater costs. Spokespeople for the Bureau of Reclamation expect draft environmental impact statements for both Sites Reservoir and Temperance Flat to be released in late-2013 or early-2014. 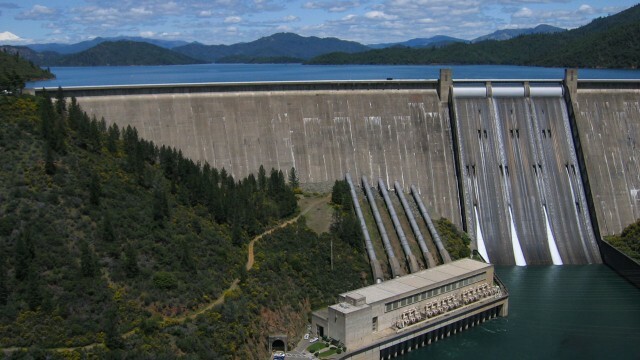 Birmingham and the Bureau of Reclamation claim that the deeper pool of water behind Shasta Dam would allow more frequent releases of cold water to benefit threatened salmon and other fish downstream. Several environmental and fish advocacy groups beg to differ, saying there are more effective and cost-efficient ways to protect Central Valley salmon than a billion-dollar dam project. "Although theoretically there could be additional cold water -- and there's no doubt more of that is always better -- it's not guaranteed," said John McManus, executive director of the Golden Gate Salmon Association. "Add to that the certainty that more water would be channeled north to south across the Delta, which will almost certainly entrain more salmon in the pumps or pull them off their natural migration path to their death in the interior delta, and this is a bad idea for salmon," McManus wrote in an email to KQED. Lund has argued for a more "holistic" approach to California's water conundrum, assessing the combined benefits of conservation and integrated management of surface and groundwater, rather than looking at big, individual engineering projects. "That’s the big fallacy around much of the discussion about storage in California," says Lund. "We have a water shortage, not necessarily a storage shortage." The proposal to raise Shasta requires Congressional approval. The next step will be for the Bureau of Reclamation to submit a final recommendation to the Department of Interior. 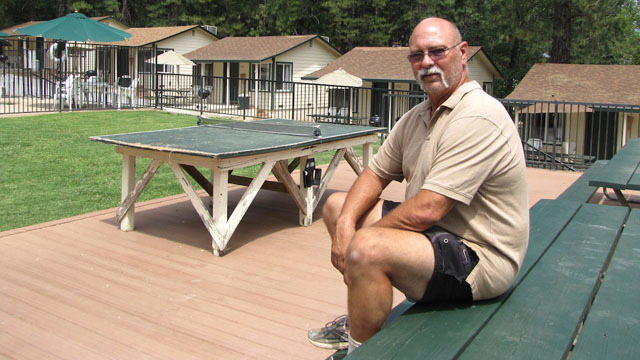 If Congress approves funding for raising Shasta, it’s expected that the issue will wind up before the courts. After all, this is California. KQED Science Editor Craig Miller contributed to this story.